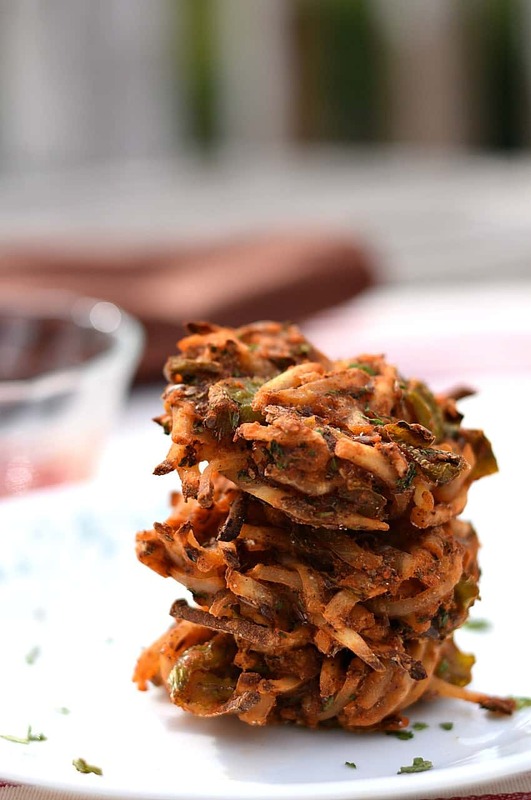 Delicious little mounds of crispy potatoes – I hereby RENAME you Crispy Hash Brown Potato Patties! Truth be told, I originally named these little guys “Potato Pucks”…. because they reminded me of …well… little hockey pucks! But lesson learned….. as good as they are, they just didn’t get the attention I thought they deserved. I’m guessing people don’t like eating hockey pucks….bad naming choice Chuck, bad! First of all, I have to give credit to one of the FB Groups I belong to – as they originally posted this recipe from Minimalist Baker. I thought, “Man, those sure look good”. And knowing how potato crazy many of my readers are – including myself – I knew right then and there I was going to HAVE to try it. But after looking at the recipe I realized instantly I was going to have to work my magic to Veganize them a bit. Oh I’m sure Dana’s are amazing as well, but here at Brand New Vegan – we don’t do butter – even Vegan butter….so the challenge was set. So yesterday I set off to conquer the mighty fat-free potato patty. Oh my – if you love my Oven Baked French Fries you are going to HAVE to try these! First of all – after looking at MB’s recipe, I knew the butter had to go, so I used a Flax Egg in its place to bind everything together. Next – I knew I wanted to use Frozen Hash Browns instead of fresh – just to make this easy for everybody. I also left out the corn (my girls HATE corn – can you imagine?) and replaced it with some canned Green Chiles for a little flavor boost. I then added the same spice mix that I use for my Crispy, Fat-Free, Oven Baked French Fries that everyone is so crazy about. And finally, although I love the Muffin Tin idea, my first attempt at using a Muffin Pan and little sheets of parchment paper left my potato pucks with a texture of potato pudding, instead of the crispy, hand-held, finger food that I was after. So I used a baking sheet instead and hand formed my little ball of starchy-goodness myself – much better. These little guys are GOOD! And so easy to make too – just a few everyday ingredients and about 45 minutes is all you’ll need. You’ll need some Frozen Hash Browns. I like Mrs Dells – where the only ingredient is POTATOES. That’s it. No sodium, no preservatives, just potatoes. I found mine at WAL-MART. 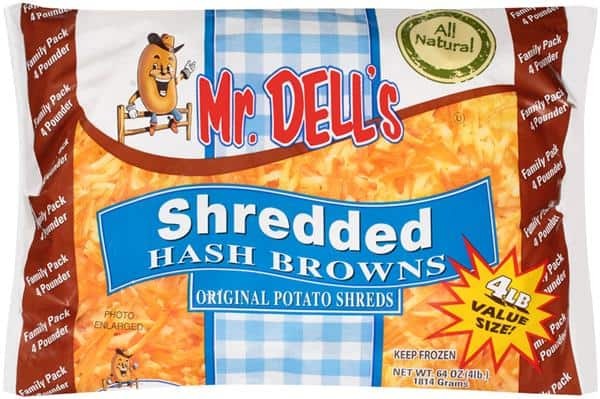 Pour 3 cups of these frozen hash browns into a large bowl and allow them to thaw. You can also use your microwave to speed things up, just defrost until thawed. 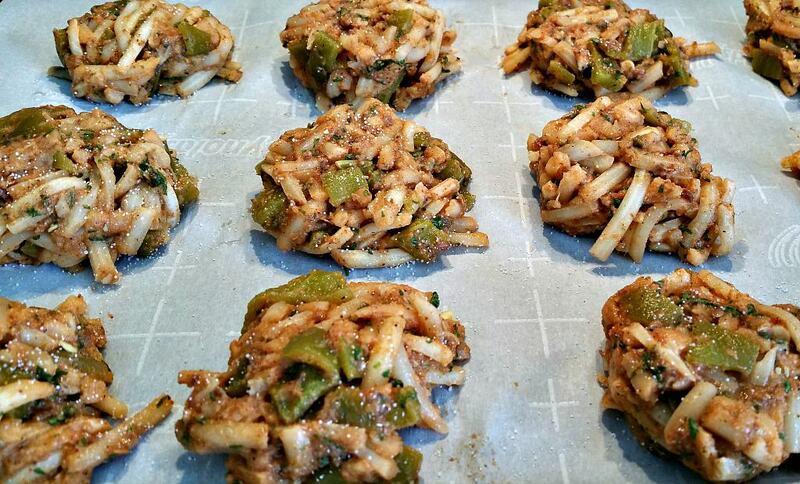 Now add a 7oz can of chopped Green Chile, 1 Tbs of Corn Starch, the spices, and a Flax Egg. You can make a Flax Egg by mixing 1 Tbs of ground Flax Seed in 2 ½ Tbs of hot water. After about 5 minutes it will turn kind of gelatinous like a raw egg. Mix this all together and then using your hands – form 12 little potato balls. I used about 2 Tbs per ball. Space them evenly on a parchment lined cookie sheet and smash them down a little bit. A little last-minute seasoning (I used Garlic Salt) and into a 375° oven they go for 20 minutes. After 20 minutes, turn up the oven to 450° and bake for an additional 10 minutes. Lastly, after 10 minutes has passed, switch your oven over to BROIL and bake for 5 minutes to crisp up the tops and edges. Allow to cool for a few minutes and they should peel right off the parchment paper with no sticking at all. Now – what you dunk them in is totally up to you – I’m a ketchup guy myself…..mmmmmmmm. 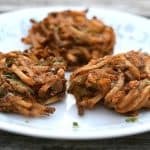 Crispy Hash Brown Potato Patties - they're pretty, they're plant-based, they're POTATOES, and they're perfect! Who's ready for one? Prepare Flax Egg by mixing 1 Tbs ground Flax Seed and 2 1/2 Tbs hot Water. Allow Flax Egg to gel for 5 minutes then add to thawed potatoes. Add Chopped Green Chiles, Corn Starch, and all the seasoning and mix well. Using your hands, form 12 equal sized potato balls and space evenly on the cookie sheet. Smash the tops down a little to form little pucks. Set oven to BROIL and bake for 5 minutes to brown tops. 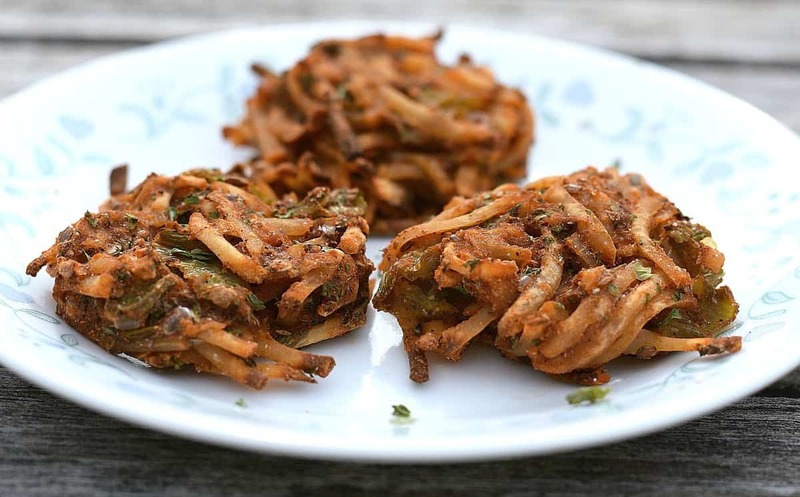 Adapted from Minimalist Baker's Hash Brown Haystacks Recipe. I will have to search for those hash browns. Last I checked (months ago) each brand at my local Neighborhood Market all had extra stuff (mostly oil). These look delicious! I need to get to the store and buy some frozen hash browns! !